Fusion Point of Sale (FusionPOS™) is a full feature point of sale solution for retailers wanting to fully leverage your accounting system to provide centralized management in highly distributed retail environments, without sacrificing any functionality available in standalone retail solutions. All items, customers and pricing data in your accounting system are automatically shared with FusionPOS™. No manual intervention required. All transactions from FusionPOS™ are automatically returned to your accounting system for final processing. Users may select the extent of their participation in the final processing as dictated by their internal policies and procedures. FusionPOS™ can maintain individual customers’ transaction history without creating individual customers in your accounting system. This allows for retaining large amounts of customer centric data critical for analysis of buying patterns and focused marketing efforts independent of the constraints of the ERP. FusionPOS™ allows phantom items i.e. items which exist in FusionPOS™ but do not exist in the ERP. Phantoms are derivatives of ERP items and are converted back to the stocking unit of measure for posting. In FusionPOS™ each client can determine the nature of each customer and the degree in which that customer’s data will migrate to your accounting system. 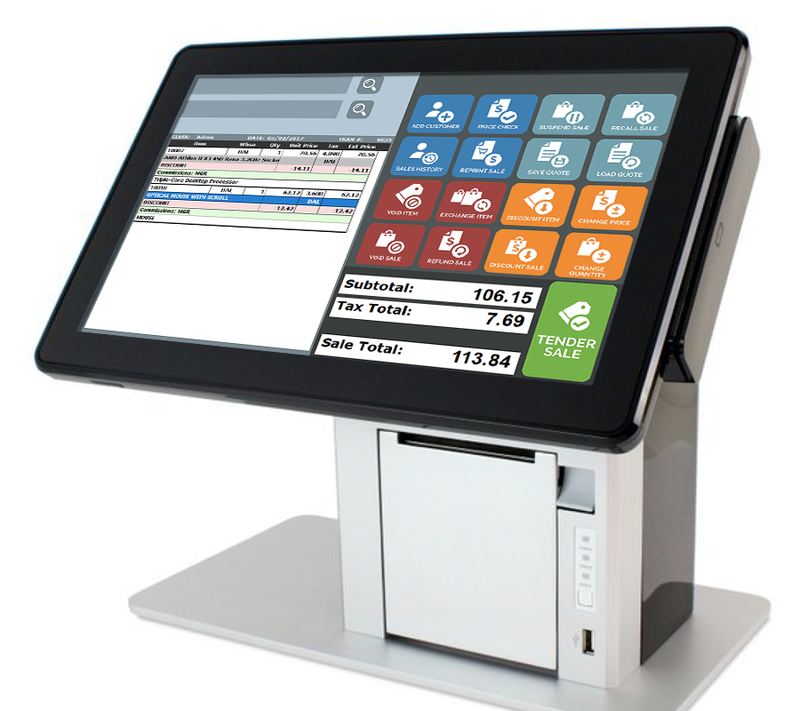 FusionPOS™ Cash Customer is used where customer or transaction specific data isn’t needed, while speed and accuracy is. Examples include insignificant purchases, high volume transient environments, etc. Transactions for Cash Customers are “rolled-up” into a single, location-specific Sales Order / Invoice in your accounting system for each user-defined reporting period. FusionPOS™ also has the ability for direct one-to-one integration with your accounting system for Accounting Customers. Such customers are used for either open account transactions or those requiring follow-on activities such as layaway, ERP fulfillment, etc. FusionRMS™ also maintains Marketing Customers. These are used when customer data is desired for marketing, returns or relationship purposes but there is no need to set them up in your accounting system. Marketing Customers retain the same transaction integrity as Accounting Customer, but transactions for Marketing Customers are “rolled-up” into a unique Sales Order / Invoice by location for posting into your accounting system. FusionCR™ integrates seamlessly with your accounting system inventory. Add an item and it is immediately available at the register. Pricing, availability, etc., can all be controlled with one interface. Daily transactions flow seamlessly back into the your accounting system with no manual interaction. Purchasing, financial reporting, and cash management are performed within the system, leaving store managers to focus on enhancing your customer’s experience. Built on the feature set and inventory integration of FusionCR™, the Fusion Customer Service Register (FusionCSR™) dramatically extends the reach of your accounting system by adding AR integration. Accounting Customers exist at each register. Fusion CSR™ processes individual transactions for an Accounting Customer while transactions for non-accounting customers roll-up into one transaction in your accounting system. Lay-away-All lay-away transactions are recorded in your accounting system, accurately tracking the associated liability. The lay-away liabilities are reversed and properly recorded upon completion of the layaway and completion of the sale. Customer specific pricing-Fusion CSR™ enables customer specific or contract pricing to be synchronized with the your accounting system assuring company-wide pricing integrity. FusionCSR™ to the HP Elite tablet. Place orders, invoice. accept credit cards, scan items, etc., all while never loosing contact with the client. Fusion Replenishment provides corporate offices with the ability to quickly and easily generate Purchase Orders or Transfer Orders to restock distribution centers or remote store shelves. Using real time inventory data, Replenishment manages cascading distribution channels where stores may be replenished through transfer orders from regional warehouse (TO) who are in turn replenished from corporate warehouse (TO) or from vendors (PO). Replenishment order quantities are automatically suggested using user-defined parameters including average daily sales, lead times and current stock on hand. 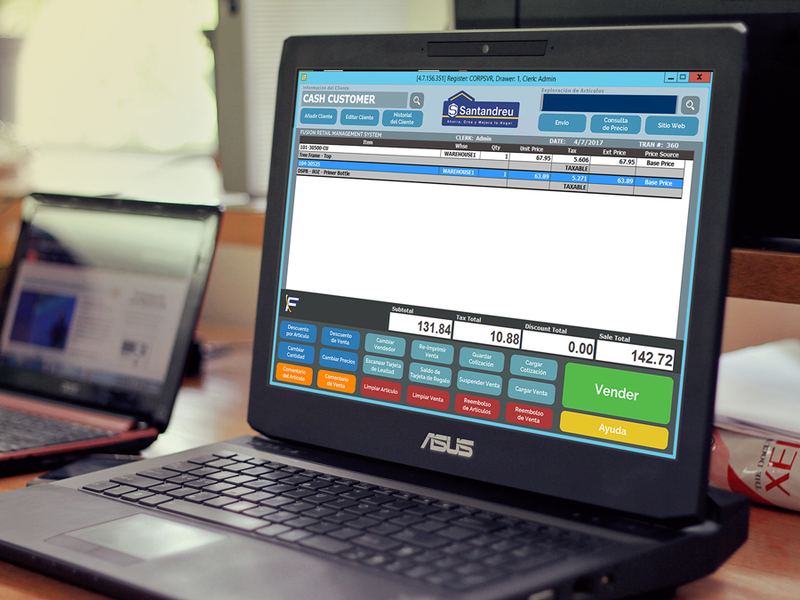 POs and TOs are automatically uploaded into your accounting system through standard internet connection. (FusionIM ) is a version of FusionWMS meeting the needs of retail stores. It allows each store to conduct basic inventory transactions i.e. receiving, physical count and label printing. However, it also allows for the store to generate Purchase Orders or Transfer Orders to replenish inventory. Replenishment order quantities are suggested using user defined parameters, including average daily sales, lead times and current stock on hand. 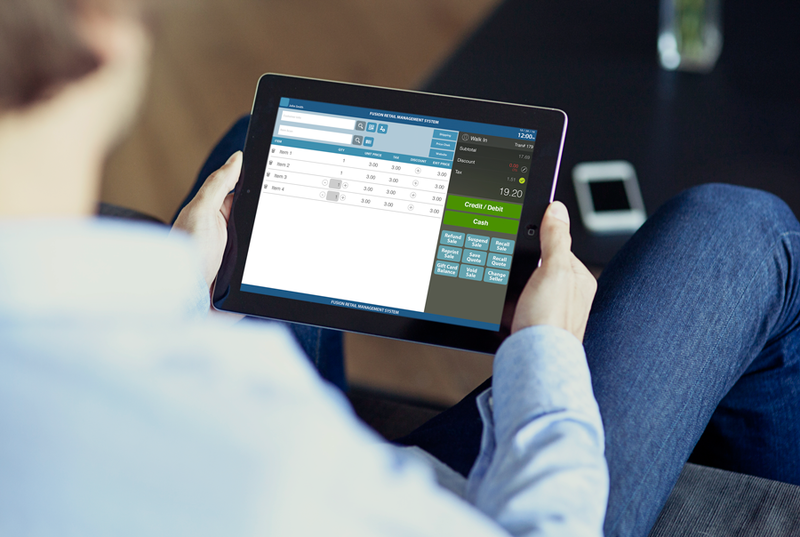 POs and TOs are automatically uploaded into your accounting system through standard internet connection.